I got a result of read/write speed of a HDD through Guitar USB3.0 Micro-B Receptacle. Today, I used another HDD(WD5000LPVX with SATA3) to test these data again. Now I get a better result, just like Tido says, I need a SSD, thanks . And i will test a SSD later. 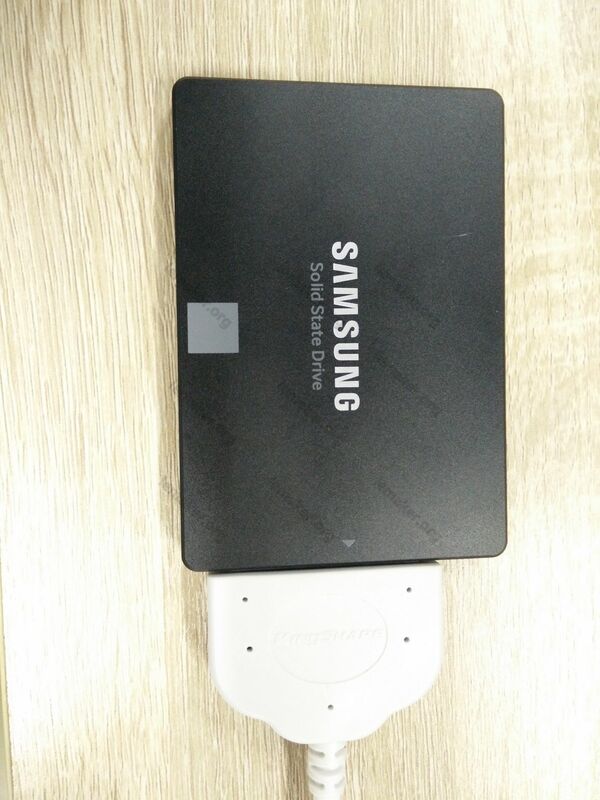 In recent days, I got a SSD(SAMSUNG 850 EVO 120G) to to test the Guitar USB3.0 interface. To really squeeze the last performance out of the Guitar, you need a SSD. drive with 10000 or 15000 rpm. So your test suffer of this. Secondly, to be accepted by the majority you have to use an accepted test procedure. dd simply is not enough. How about this: http://www.phoronix-test-suite.com/ may be you find something else well known and accepted. I will test the LeMaker Guitar USB3.0 with a SSD later. Which build did you use, I remember that TKaiser had no sucess with his Guitar in testing USB3 ? Hi, the OS is Lemuntu 1509, and about use the Guitar as host mode(eg: to connect a disk), please read this page first: http://wiki.lemaker.org/LeMaker_Guitar:USB3.0 . 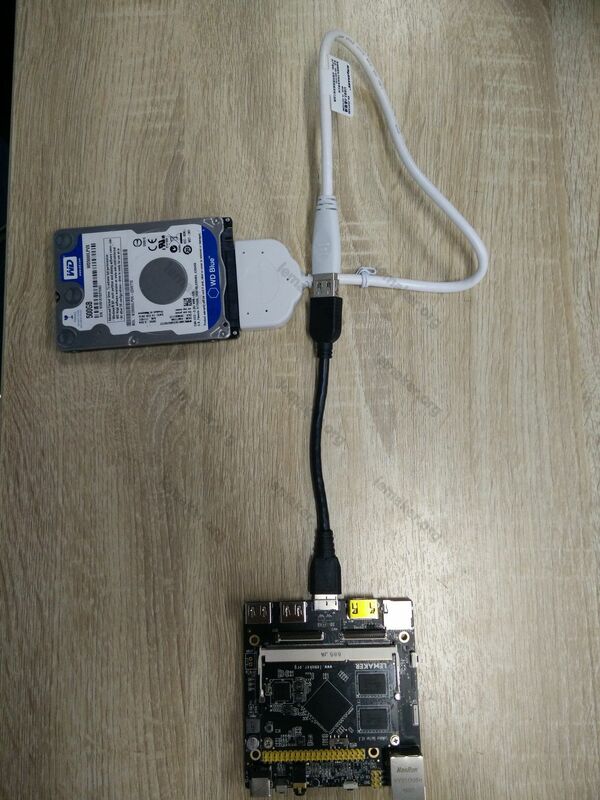 It says that there are two different USB 3.0 Micro-B OTG cable with different pin definition, you need be careful to buy a right one from the markete. 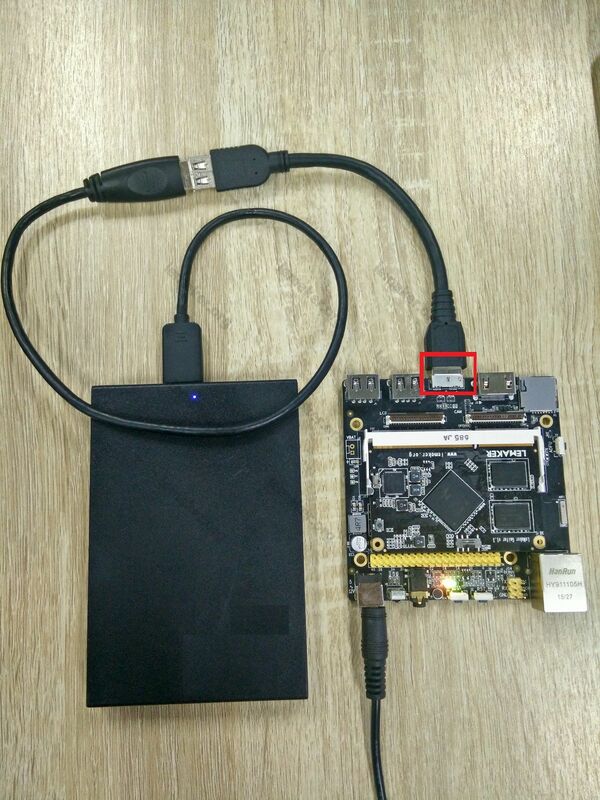 We refer the USB3.0 standard specification to design the USB 3.0 Mirco-B Receptacle on the board. For more details , you can view the "Universal Serial Bus 3.0 Specification" in section 5.3.4.2 or "Universal Serial Bus 3.1 Specification Revision1.0" in section 5.3.3.2 which can download from the website at http://www.usb.org/developers/docs/documents_archive/. I have to tell you, this is a bit weird. Think about, on the post above I quote, hnsncxy quotes that it is according to standard. I assume he is a LeMaker Teammember. You on the otherhand say, there are different cables !! Further Tony once mentioned you have tested several cables. If you guys would test SAMSUNG OTG cables and they work, you could let us know the SAMSUNG partnumber that works. SAMSUNG is available around the globe so I mentioned it, LENOVO, SONY, HTC are equivalent to SAMSUNG. So, can you help us with a partnumber ? Hi, sorry for late replay, I just finished my holiday today, the USB3.0 cable I used is costumized. And I tried several kind of USB3.0 OTG cables buied from market in China, but it seems like they can't work well on LeMaker Guitar. I don't know if there have a useable cable in your country. Thanks for the confirmation that the current baseboard's USB3 implementation is simply 'broken by design' since LeMaker chose a non standard Pin mapping for which no cables exist (unless you make your own). Two final questions: Why doesn't LeMaker answers any questions regarding shipping costs or distributors around the world? And why don't you ship such a customized cable with every baseboard since otherwise the only feature of interest (USB3) isn't useable? We will provide a customoized cable for micro-B usb 3.0. And also LeMaker has appointed Lenovator to sale guitar, the shipping cost should add into the total cost when you have ordered in lenovator. That's all so great (just kidding). So when will this 'LeMaker doesn't follow standards' cable be available? How will it add to the costs to get something useful? For the price of the Guitar I get 1 ODROID XU4 or 2 ODROID-C1+ -- why should anyone buy a Guitar when USB3 isn't useable right now? Why don't you include such a cable with every baseboard? Regarding Levonator's shop: Did you ever visited it? It's a bad joke! There is no information about shipping costs. Maybe after one signs up. But am I'm an idiot to sign up in an online shop that forces me to 'hereby agreeing' to its terms and conditions that are written nowhere? Nope.